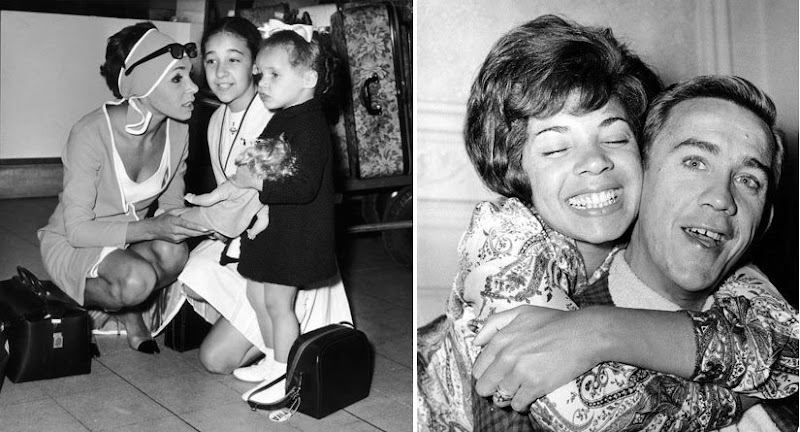 We watched the BBC's new "docu-drama" [another phrase I hate] about the early life of the ultimate diva Miss Shirley Bassey the other night, and thoroughly enjoyed it. Shirley takes the story from Miss Bassey's poverty-stricken childhood in Cardiff, child of a white mother from Hartlepool and a soon-to-be-absent Jamaican father, through the pain of achieving her ambition to become a star. Given the onerous task of playing such a singular character, the Ethiopian-Irish actress Ruth Negga did a sterling job, with all the sassiness and hutzpah required to convincingly portray the transformation Miss Bassey achieved every time she stood in front of her audience. On occasion, we cheered! At times the drama did feel a little "compacted" to fit its allotted time (and presumably the BBC budget) - the "abandoned" baby hidden from the public, the often violent relationship with her manager, the rise and fall of her marriage to gay film producer Kenneth Hume, the extramarital pregnancy, the reaction of society to the ascendance of a black star in a white entertainment world - but despite cramming a lot in, this just had the effect of making us want more. "I’m surprised it’s taken the BBC this long because her life is just right for this kind of drama: it’s tragedy with glittery bits, it’s the story arc of poverty-talent-success to the soundtrack of a big voice, it’s a woman singing "I Who Have Nothing" while wearing an expensive diamond necklace. In other words, contradiction, pain and struggle. 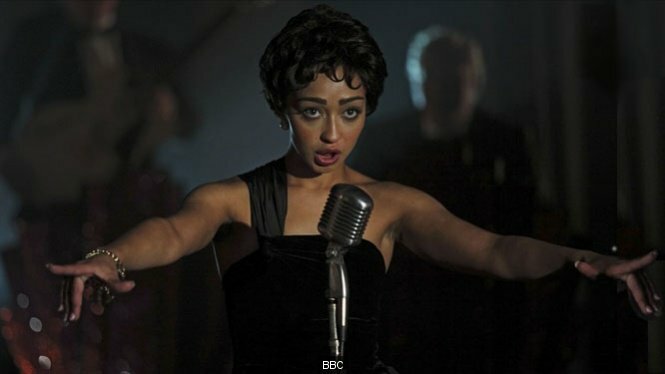 Ruth Negga, who plays Bassey, gets the visuals just about right too because she homes on all the physical traits that make the singer memorable: the swaggering hips, the twitching lips and those swooping, sweeping arms that – you may not know this – Bassey uses to spell out secret semaphore messages to her gay fans. On top of all that, there’s the jewellery and the voice (the real one dubbed over Negga’s imperfect miming) which, all in all, makes the whole thing a kind of impersonation, a drag act. A perfectly good one, but a drag act." The critics have not been universally kind to the production, but in my opinion in concentrating on the parts I think they have rather missed the sum of them - a heartwarming, camp, excellently-acted melodrama, much like Miss Bassey's real life, in fact! Thus far, Shirley is not available on BBC iPlayer, but inevitably it will be shown again - catch it if you can. Oh my - I would love to see this!!! Hope it will come out on DVD.